Coloring Book - Children is a simple app for Apple TV that lets your child digitally color. With plenty of pictures to choose from, your little ones can pick out vibrant colors to create their masterpieces. Select a color and brush. Just pick a brush size, choose a color, and start creating your work of art. Additional color palettes can be used by selecting the three-dot button. Just hold down on the Siri remote touchpad and move your finger to color in the areas. Coloring is always a relaxing activity and children love it for keeping busy. With Coloring Book - Children, kids get access to a plethora of different drawings that they can color in with a variety of bright and vivid colors. Additionally, the app lets users draw their own drawings as well to color, which is a fun bonus. Coloring Book - Children is simple and intuitive to use, so your child will be able to get right to the coloring fun. Coloring Book - Children is simple and easy to use. There are a lot of included drawings to color in, and you can draw your own too. It's great for everyone and rather relaxing while being entertaining at the same time. CHILDREN is a funny drawing and coloring app for all ages! ••• START DRAWING NOW - WITH CHILDREN! 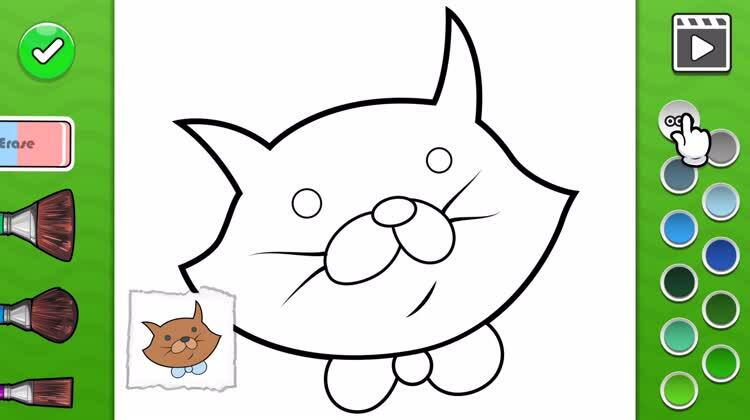 This is the free version of Coloring Book - Children MAX. Some pictures are locked. You can easily unlock all of the features via an in-app purchase. Coloring Book - Children MAX.